Its funny the power that images have over our emotions. Maybe that's one reason I like Designer Papers. 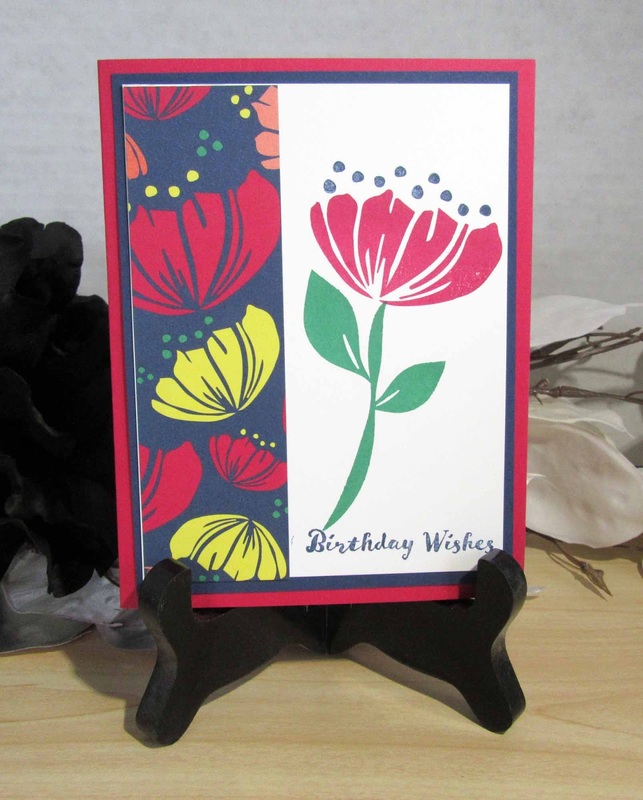 I have 2 cards to share today that focus on the Happiness Blooms Designer Printed Paper. These two cards illustrate one of the things I love best about Stampin'UP!
. . . the product coordination. Image coordination: The images in the designer paper coordinate with images from the stamp set. Having matching paper makes it so easy to choose papers that go well with each other as well as papers that look good with the stamping. Brenda's card on the right shows the perfect match of the designer paper and the stamped images. Color coordination. 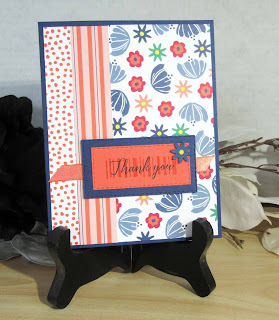 I love that the colors in the designer paper match perfectly with colors of Stampin'UP! paper and ribbon. It helps give a more professional look to my cards. Carolyn's card on the left combines several different prints from the Happiness Blooms paper pack. 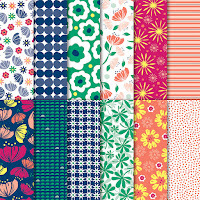 Paper packs are designed not only to coordinate with the stamp set but also to coordinate with each other. 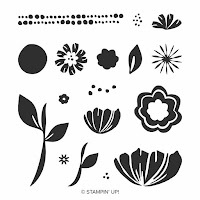 Check out all of Stampin'UP! 's designer papers here. 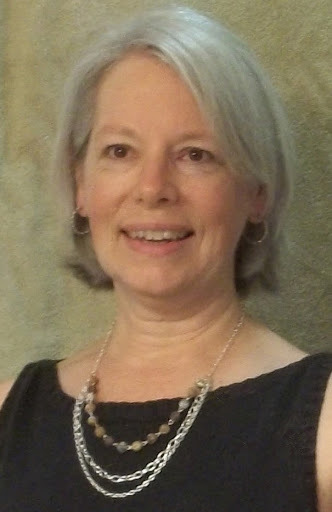 People Coordination: The reason I have Carolyn's and Brenda's cards to show you is because they are part of a demonstrator group that I belong to. One of the huge advantages of joining Stampin'UP! is the opportunities to meet and exchange ideas with other avid stampers. We get together in person and we support each other on-line through a private Facebook Group. 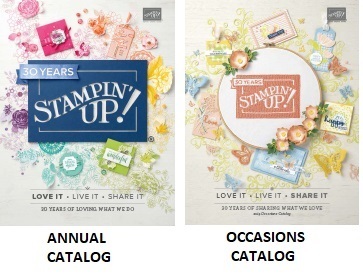 As a company, Stampin'UP! appreciates and supports you no matter what your reason for joining. Whether you join to start a business or join for the discount, either way you are appreciated and supported. If you've considered joining then here's something else to think about. Demonstrators get a 20% discount on all personal purchases - including the purchase of the Starter Kit. During most times of the year you get to choose $125 of product but pay only $99 (there's your 20%) AND shipping is free. Right now (January - March) is SALE-A-BRATION. This is Stampin'UP! 's biggest sale of the year and the Starter Kit is on sale too. You still pay the $99, but right now you get to choose $175 of product. To get $175 of product and pay only $99 is a 75% savings. How long is your Wish List? The deal this year is the best the company has ever offered, for real. As a Discount Buyer this really is too good a deal to pass up. Contact me, I'm happy to answer any questions you have about it. If you're still reading at this point I assume you have some interest. If you're thinking of this as a business the company has many resources and I as well as others in my group can offer guidance as well. If you're thinking of this only as a discount for yourself, rest assured that's the reason that most people join. 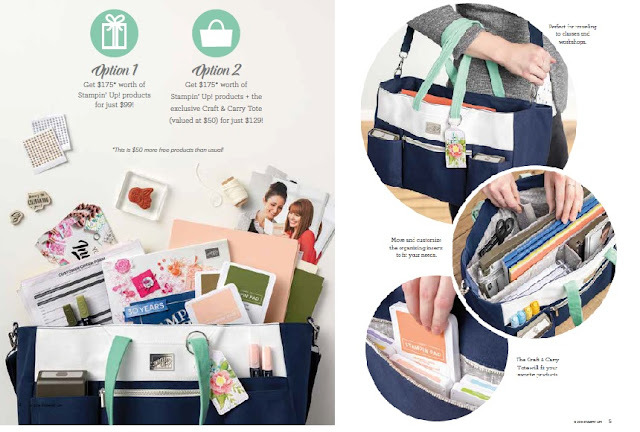 No, you do not have to sell and no, you do not have to make any additional purchases beyond the Starter Kit itself. Happiness really does bloom when you coordinate the right product with the right people. 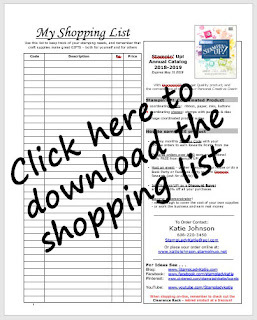 Please contact me with any questions about joining Stampin'UP! or about Carolyn's or Brenda's card. Buying the Starter Kit during Sale-a-bration is truly an INKcredible deal!